Over the last 20 to 30 years, de-industrialization has hit many places in developed nations very hard. Cities that were once thriving and lively have suffered decades of urban decay and depopulation. The most well-known example in North America is the „Rust Belt“, a large swath of land in the Northeastern United States that stretches from New England, New York State, New Jersey, Pennsylvania to Ohio, Michigan, Illinois and Wisconsin. States such as Maryland, Delaware West Virginia and even Southern Ontario in Canada also have post-industrial cities that have been ravaged due to the decline of traditional industries. But some of the most heavily hit cities are making a comeback. Buffalo, Pittsburgh and even Detroit have undertaken many initiatives recently in order to turn their cities around and some of the initial signs are encouraging. What I did not realize was that my native country of Austria has gone through very similar issues and started facing a severe steel-industry crisis in the 1980s. One of Austria’s steel cities is the picturesque country town of Kapfenberg which used to be one of the heavy steel production centres of the country until global competition broadsided the industry. As a result, many hundreds of jobs were lost, factories were closed, the city declined and Kapfenberg started to lose population. So in September, a good friend of mine who happens to hail from Kapfenberg, a city about 35 kilometres as the crow flies from my own home town in Austria, sent me a Youtube video about the „longest lipdub ever done“, a special event that the city of Kapfenberg and its citizens organized and accomplished on September 19, 2014. I didn’t even know what a „lipdub“ was until I watched the video and witnessed one of the most inspiring, fun and uplifting mass-lip synching events ever. The lipdub with its 6000 participants was Kapfenberg’s huge celebratory event to declare that it has reinvented itself after a difficult time. Please tell us a bit about Kapfenberg – where is it located, what about its history, what is its significance? Let me give you a bit of background about our city. With around 22,000 residents, Kapfenberg is the third largest city in Styria, one of Austria’s provinces. It is located less than 30 minutes from the provincial capital of Graz, Austria’s second largest city, and it takes only about 90 minutes to drive to the airport in Vienna. 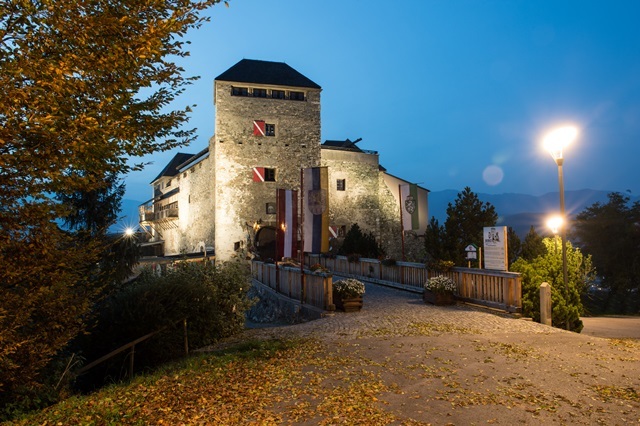 Kapfenberg has a long history in a region that was settled already 5000 to 7000 years ago. The ancient Romans even set up a postal station nearby. The Middle Ages were a rather turbulent time with many different tribes moving through the area. From the 14th and 15th century onwards, Kapfenberg became a centre of iron production, due to the nearby iron deposits on the Erzberg (literally: „Ore Mountain“). Later, during the late 19th century, Kapfenberg became an important industrial and steel producing town. During both World Wars, Kapfenberg took on a significant role in the armaments industry but many of the factories were destroyed or damaged during the Second World War. After the war, the steel industry was rebuilt and became an important economic driver in the entire region, bringing prosperity to its citizens. However, from the 1980s onwards, the Austrian steel industry started to experience a serious decline due to international competition, and as part of this de-industrialization process, many of the plants in our town were closed and hundreds of workers were laid off. Many people left our city and migrated to other places with better employment prospects. To counteract these economic developments, the town of Kapfenberg started to implement a variety ofinitiatives to attract new industries from the mid to late 1980s. Over the last 25 years, Kapfenberg has worked extremely hard on transforming itself and has succeeded in attracting various high tech enterprises, innovative small and medium-sized companies as well as research and development facilities. Kapfenberg created Styria’s first industrial park in 1988, and the state’s first technology centre in 1993. In 1995, it also became the location of the Joanneum University of Applied Sciences and has developed an industrial cluster that focuses on aerospace and automotive technology. In many ways, Kapfenberg is a shining example of a formerly industrial town in Austria’s „rust belt“ that has managed to make a successful transition to becoming a centre of education and high technolology. In addition to these economic factors, Kapfenberg is known for its exceptional quality of life. 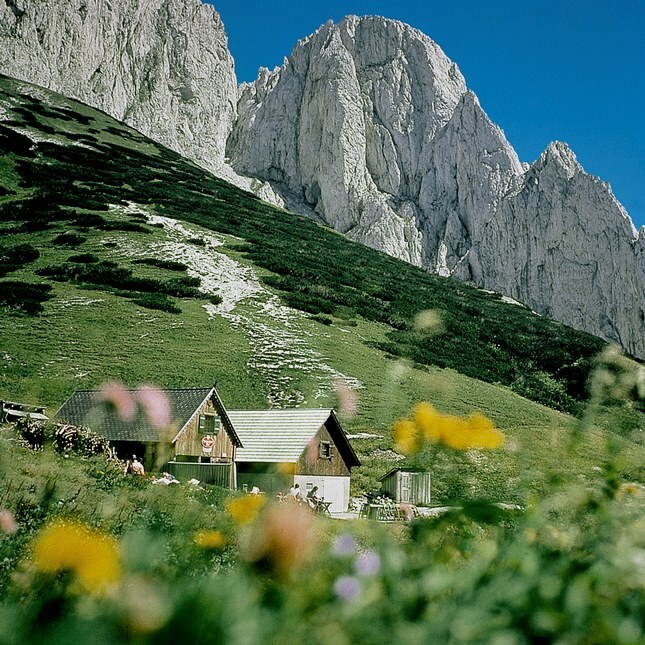 Embedded in the idyllic and historic mountains of Upper Styria, the town provides outstanding outdoor opportunities and is known as a sports city with more than 6,000 club members in diverse athletic disciplines such as soccer, swimming, skiing, hockey and many more. Kapfenberg has also won several horticultural awards as Styria’s „Flower City“ over the years. Of course, culture also plays an important role in Kapfenberg and more than 250,000 people attend the numerous cultural events throughout the year. 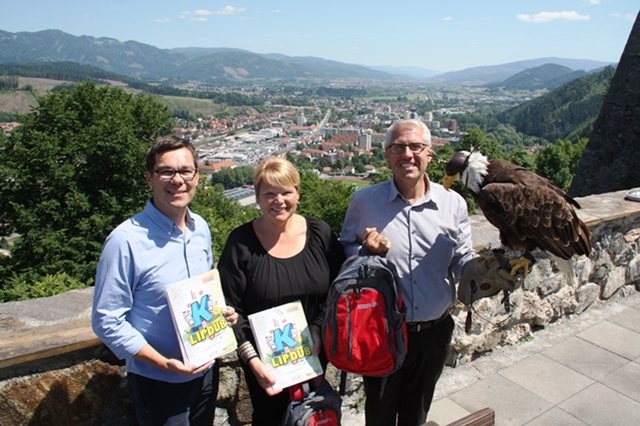 Overall, Kapfenberg is a great place to work, live and play, and we are now embarking on a mission to let the world know about its unique qualities and to attract tourists who will enjoy Kapfenberg’s diverse travel and lifestyle experiences. On September 19, 2014, Kapfenberg set a world record for the “longest lipdub ever”*. First of all, what is a “lipdub”? Who came up with this idea and why? A lipdub is special video that has to be shot in just one single take, that means there is no cut! When you watch our lipdub you will travel with us through the old historic centre of Kapfenberg and join more than 6,000 people who were celebrating in the streets and having a fabulous time. The idea of the lipdub was to create something special to show the world how beautiful our city has become over the last few of years and how it was reborn after a time of economic hardship. 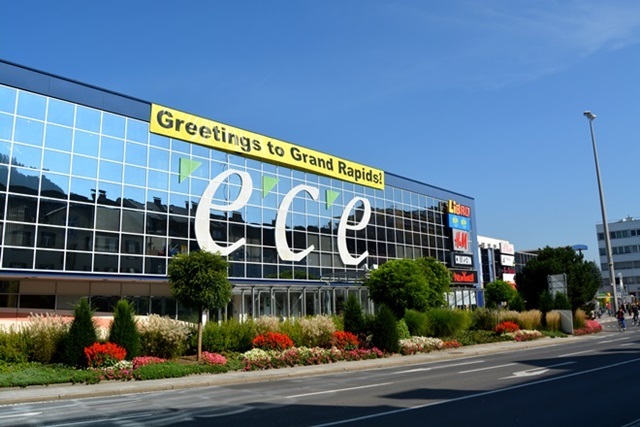 Local marketing expert Rudolf Tischart from Tiqa Advertising & Marketing came up with the idea of the lipdub and showed our mayor Manfred Wegscheider an example, using the recent lipdub done by the City of Grand Rapids, Michigan. This was the perfect climax for the two-year beautification program that the city had undertaken. „Good Morning Kapfenberg“ is a program that involved the local citizens and ask them to provide suggestions of how to make their city more beautiful and attractive. The initiative included façade improvement programs, giant mural projects and other initiatives that symbolize the revitalization of our city. And our citizens were fully engaged in the entire process. Please give us an overview of the lipdub – how long is it, how many people participated in it, what made it such a unique event? The Kapfenberg-lipdub is a true world record because we created the longest lipdub ever taken! It is 14 minutes long and what sets it apart from other lipdubs is that it is a “story-telling-lipdub”. 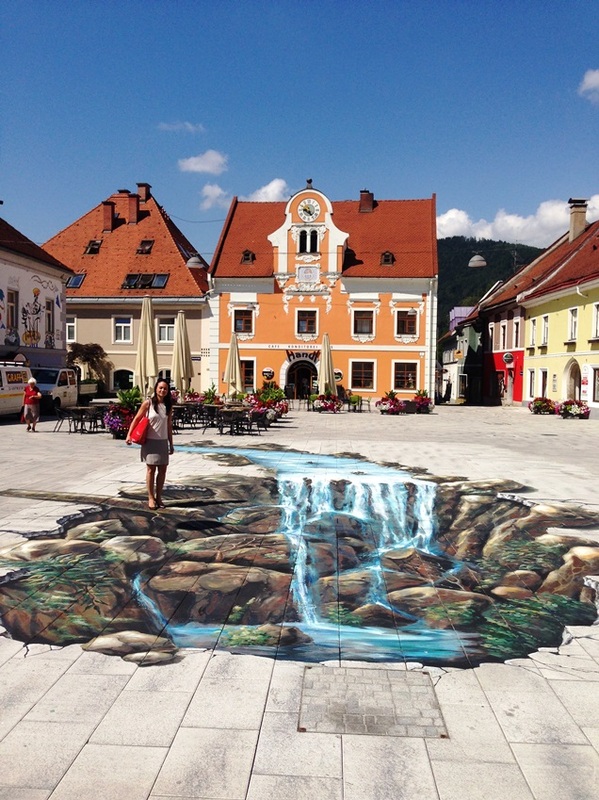 Our goal was to really surprise people by creating funny and humorous scenes all through the town. We had more than 6,000 people participating in the video, which included more than 110 clubs and institutions. What also makes the Kapfenberg lipdub so special is the fact that we have the original band OPUS in the video. Especially for this occasion, OPUS created a new version of the world no. 1 hit single “LIVE IS LIFE”. What about the music in the lipdub? How did you choose the song and the band for this huge event? Please tell us a bit more about the Austrian band Opus and its world hit “Live is Life”. How did Opus become involved in this lipdub? OPUS is one of modern Austria’s greatest musical successes and they were part oft he lipdub from the very beginning. 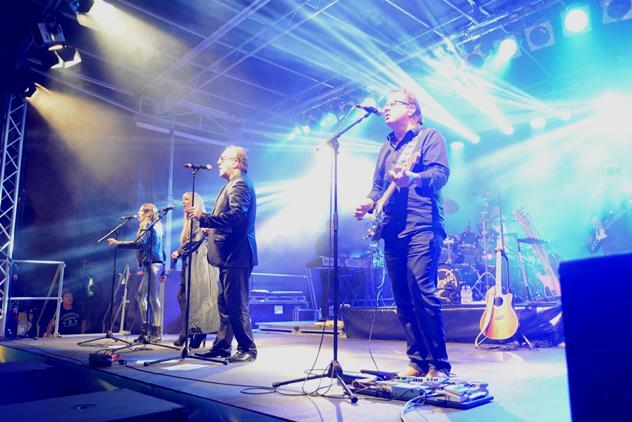 OPUS was looking for a special event to celebrate the 30th anniversay of their world hit „LIVE IS LIFE“, a song that can still be heard in sports stadiums and at special events throughout the world today. Band founder Ewald Pfleger wrote this iconic song on a beach on the island of Ibiza in 1984. Austria is, of course, known for its classical music, but apart from Falco and OPUS, Austria has had very few international pop and rock music exports over the years. In 1985, OPUS became a global success with its smash hit „LIVE IS LIFE“ which claimed top chart positions in the United States and the UK, and it became a No. 1 hit in Canada, Austria, France, Germany, Spain, Sweden and Switzerland. Altogether, „LIVE IS LIFE“ has sold double platinum in Canada and the band has achieved sales of more than 15 million singles, and about the same amount in digital downloads and best-of records. 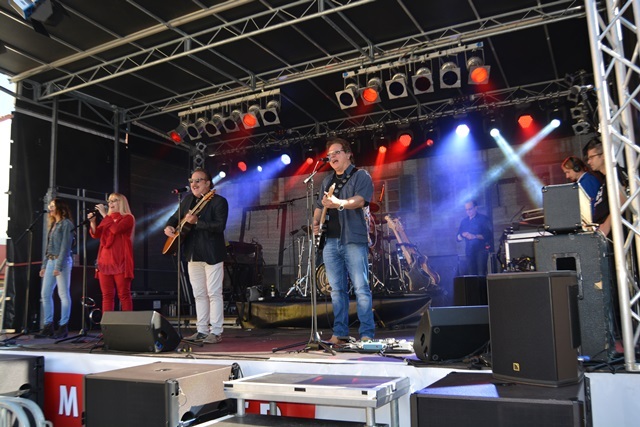 Guitarist and songwriter Ewald Pfleger, vocalist Herwig Rüdisser, keyboarder Kurt-Rene Pilsner and drummer Günter Grasmuck are members of a band that has truly put Austria on the map of the international pop-rock music scene. Another reason why OPUS was so perfect is that they are a band from Styria, our province, and some of the band members live less than half an hour away from Kapfenberg. And the third huge reason why OPUS was perfect for starring in our lipdub was that their song „LIVE IS LIFE“ is such an uplifting, positive and inspiring piece of music that perfectly symbolizes the revitalization and optimistic spirit of Kapfenberg. This song embodies perfectly what we wanted to show to the world – how beautiful and outstanding Kapfenberg has become. So the choice of OPUS and their hit song „LIVE IF LIFE“ was simply logical to celebrate Kapfenberg’s rejuvenation in our record-setting lipdub. Thank you, Marcus, for giving us an overview of Kapfenberg and how the idea of the lipdub came to be. In the next segment of this interview we will focus on the amazing planning and logistics that went into pulling off an event of this magnitude that involved more than 6,000 people (more than a quarter of Kapfenberg’s population) and 110 different clubs and groups. Paris France – the World’s No. 1 Travel Destination: What to do in Paris?